With her third album ‘Quiet Signs’ (and the first recorded in a professional studio), Jessica Pratt maintains her whimsical intimacy while guiding us into atmospheres of drama and warmth. 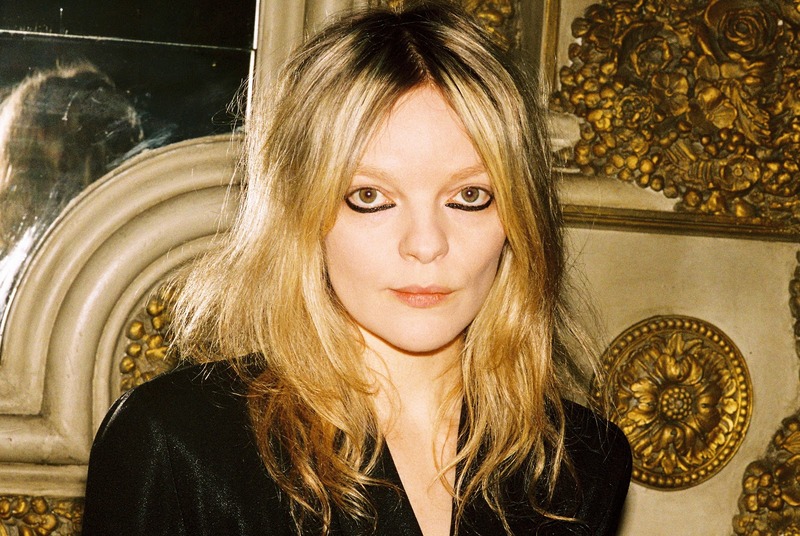 American singer/songwriter Jessica Pratt is an understated musical soul. Her gentle folkiness rests in the background while her voice, high-pitched and vague, guides the listener along. There’s the intrigue that comes with a Joanna Newsom song and also the classic tones of Nick Drake and early Joni Mitchell. However, having recorded her first two albums on her own with dreamy plucks of guitar and hiss of a tape recorder, overall there’s a clear sense of self. For Jessica Pratt’s third album Quiet Signs (released 8 February via Mexican Summer), the home has been replaced with a studio and the intimacy that came with just an acoustic guitar has opened up to the kind of spaciousness experienced when close to nature. In “Poly Blue,” for example, strums of guitar have a tranquil breeziness while the incorporation of a flute later on is like crickets and tiny birds leaping amongst tall strands of grass. Closing track “Aeroplane” holds a similar ambience, albeit slightly more haunting. Addressing the bigger picture of things while gazing down at life through a window, the sudden drooping in sound during the chorus feels like the momentary lowering of a plane’s direction. Throughout Pratt’s previous two albums, 2012’s self-titled debut and On Your Own Love Again from 2015, it’s easy for the listener to find themselves lost. Tracks peacefully merge into one, the narratives melancholy and indistinct, and then they’ll be moments that stop you in your tracks- the uptempo sound in “Baby, Back” or otherworldly charm of “Moon Dude”-causing the ears to prick up attentively. With Quiet Signs, the listener is eased in via a simple sombre piano instrumental. Titled “Opening Night”, it’s a reference to Gena Rowland’s performance in the 1977 film of the same name and became a subtle representation of how the songs for this album fell into place. The idea of the more rounded, cohesive finish that was intended with this album is present in its production. The knowing that a creative project was made hands-on in the artist’s home can add a more endearing and authentically personal touch, something that’s wholly appropriate with the individual nature of Pratt’s music. Quiet Signs, written at home in Los Angeles then recorded in a professional studio in New York, hasn’t lost this though. “Here My Love” is archetypal Jessica Pratt with just a slight accompaniment of keys and “Fare Thee Well” is dynamically whimsical while poignant in its flowing lyricism. The additional instruments- the piano, organ, synthesiser, flute- help form a more expansive atmosphere, the dramatic pace of “Crossing” and the outdoorsy warmth of aforementioned “Poly Blue” being notable examples of this. Overall, the world of Jessica Pratt is slightly bewildering. It drifts into the ears with the ease of air but it also feels confined at times as though Pratt is the only one who knows what’s being sung. With Quiet Signs this world has expanded, lyrically adjusting to transitions (’fate must be on my side/ There’s something close behind/ Far away I see myself’ concludes the album) while sonically taking the listener down new routes.